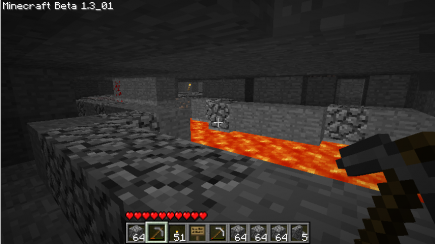 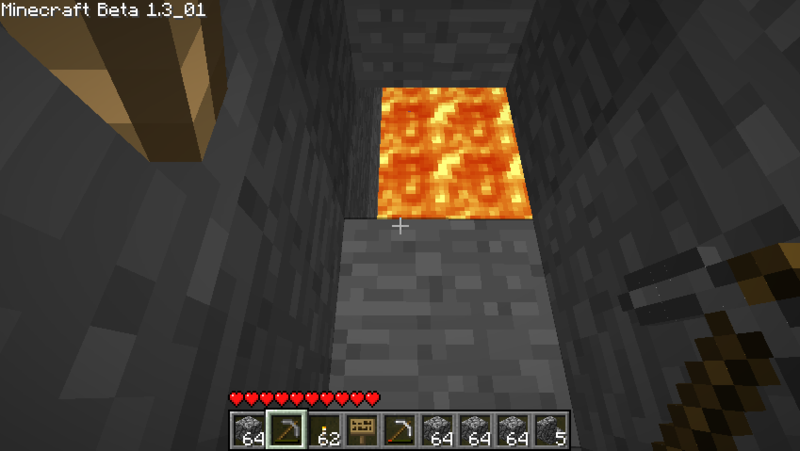 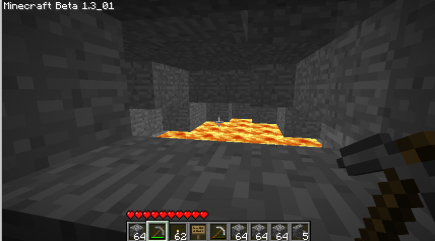 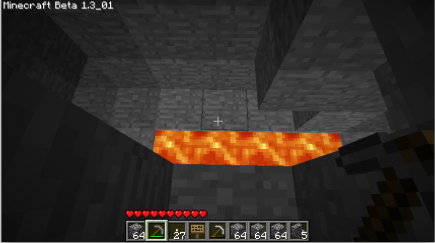 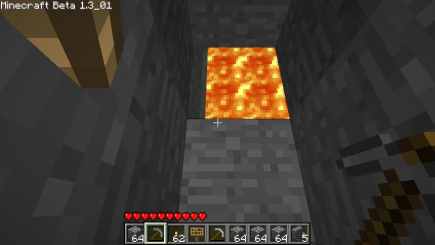 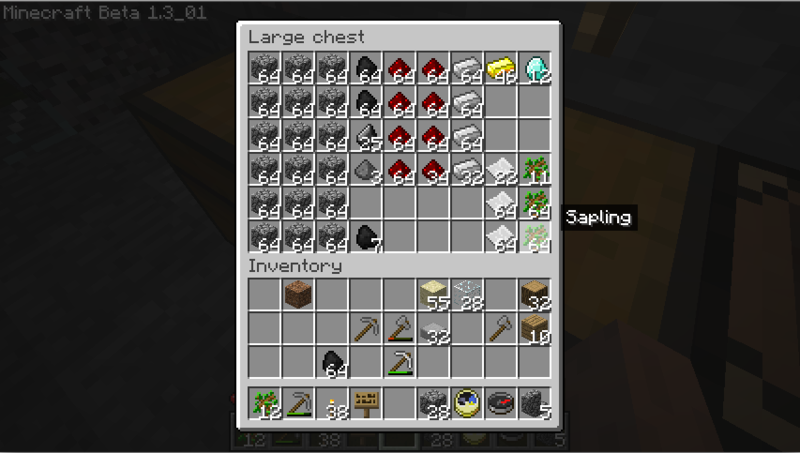 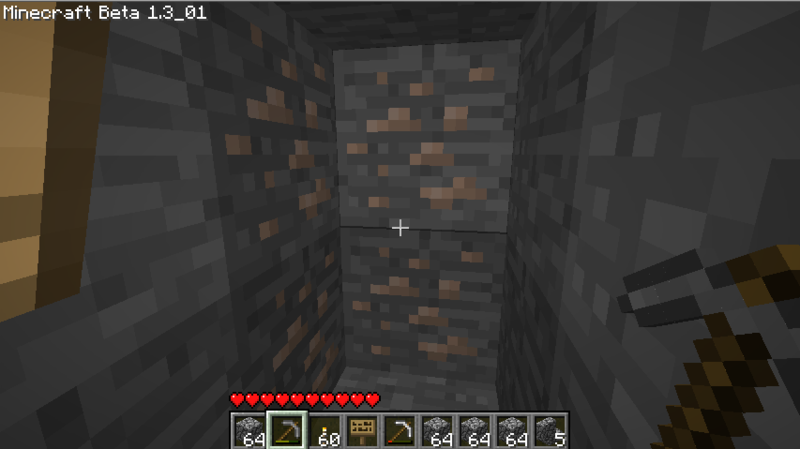 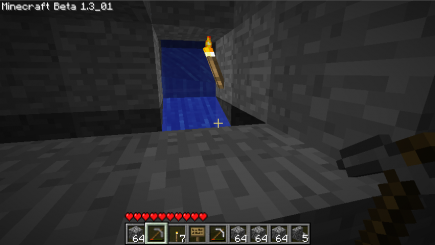 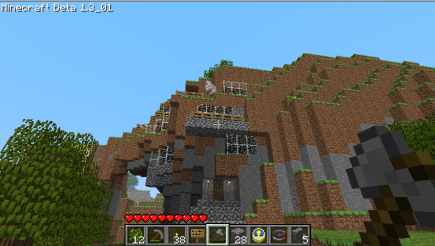 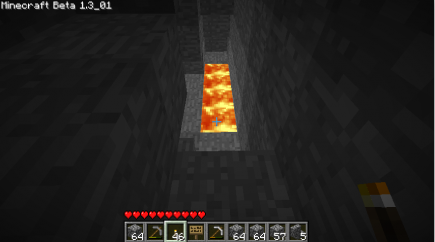 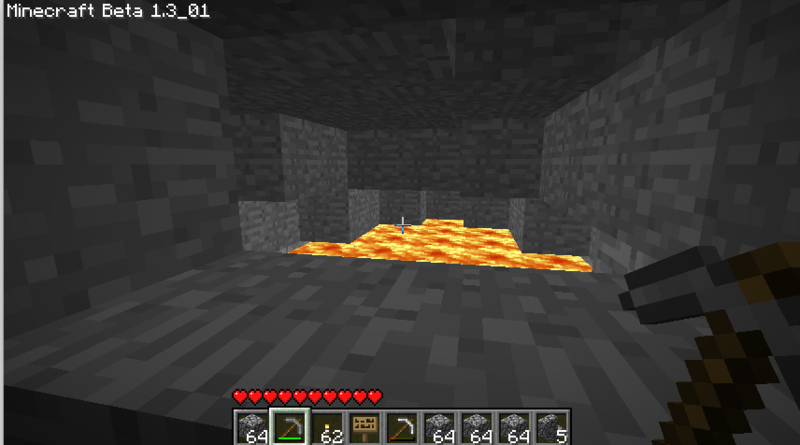 I’d started a mine last time; it was fairly successful, but I certainly wanted more iron. 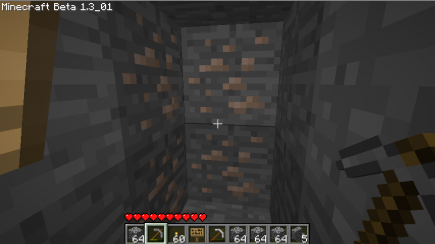 And I actually rather enjoyed the process of mining; yay for repetitive clicking. 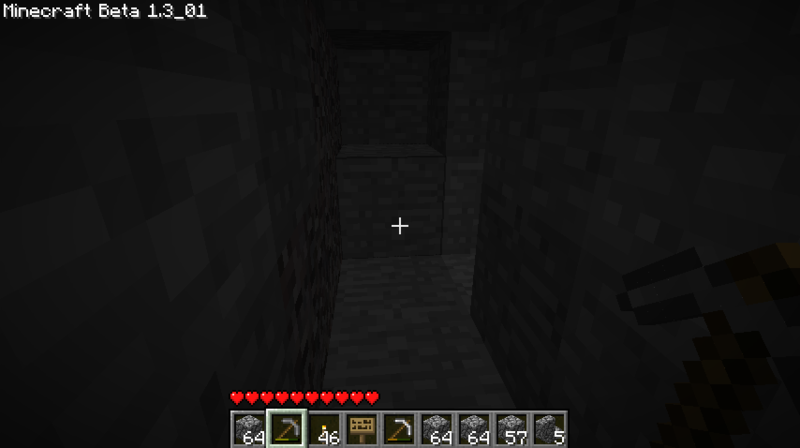 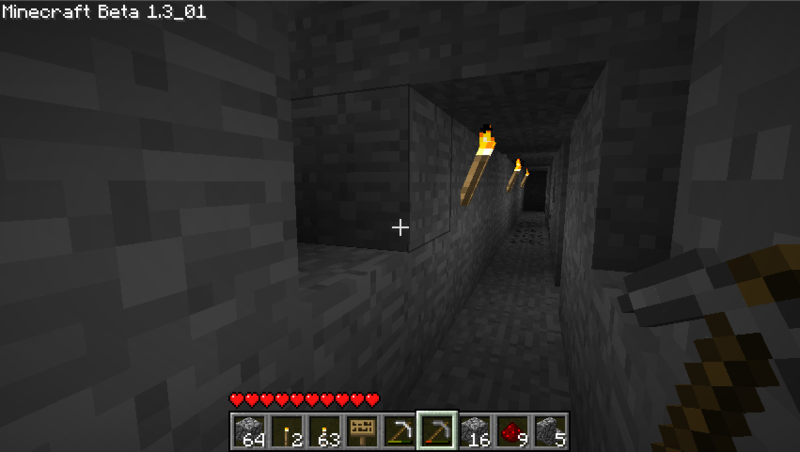 So I went back and mined some more, this time branching off of the left side of my central passage. 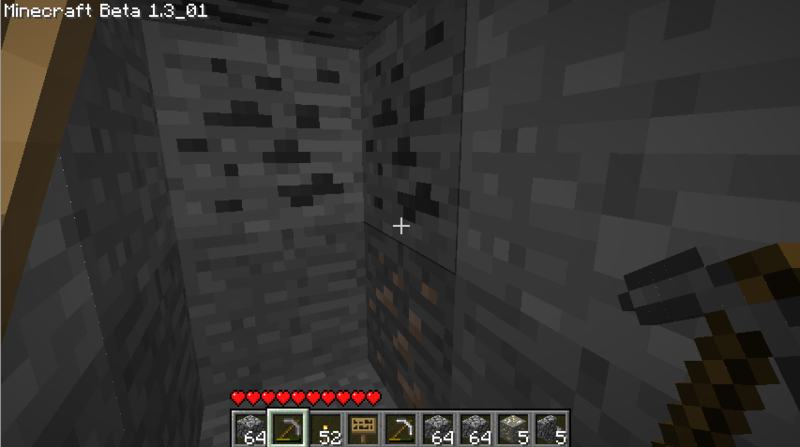 It was uneventful but reasonably successful at the start: here’s some coal, some iron, and some diamond, and I also found quite a bit of redstone. That’s in the direction where I’d be digging my next branch, so I had to deal with that lava pool on a couple of subsequent branches; here’s a view of the same pool from a later branch. 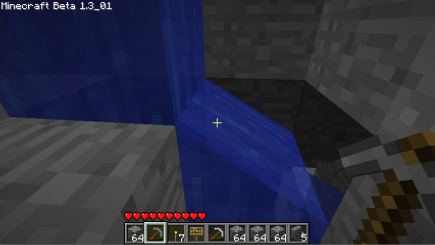 I’d been sensible and set up things so the water wouldn’t flood my mine corridor; still, I had a reasonable little river there. but when I started digging my way around it, it just got bigger and bigger. 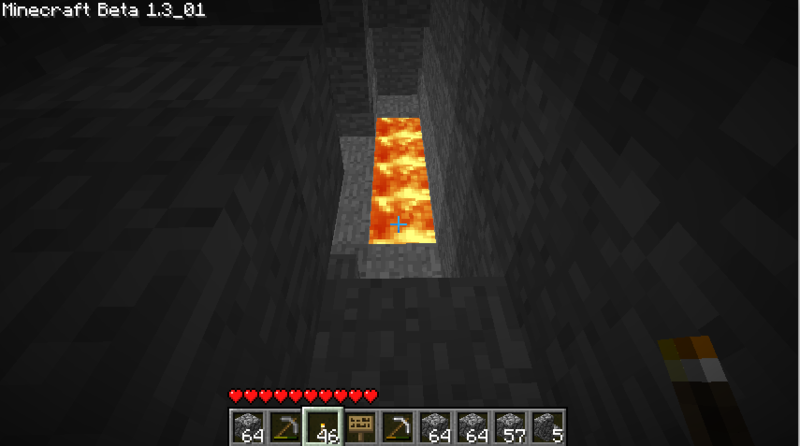 I guess this is the sort of thing that happens when you’re digging right above the lava level; it was a pleasant change of pace, I guess. 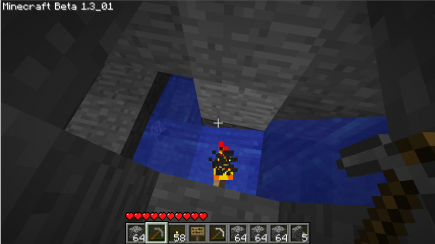 But I wasn’t going to let a little thing like a lake of lava interrupt my plans, so I continued with my branch. Which meant that, of course, I ran into my waterfall again. 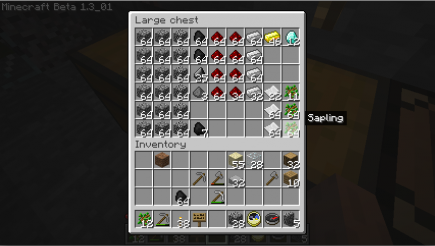 But it was worth it, I found a good haul of iron soon after making my way around that. 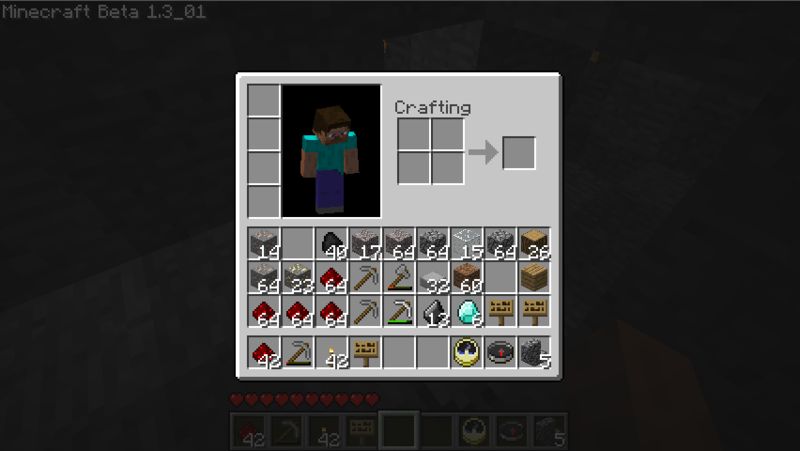 That’s enough for 592 minecart tracks, which should carry me a decent distance. 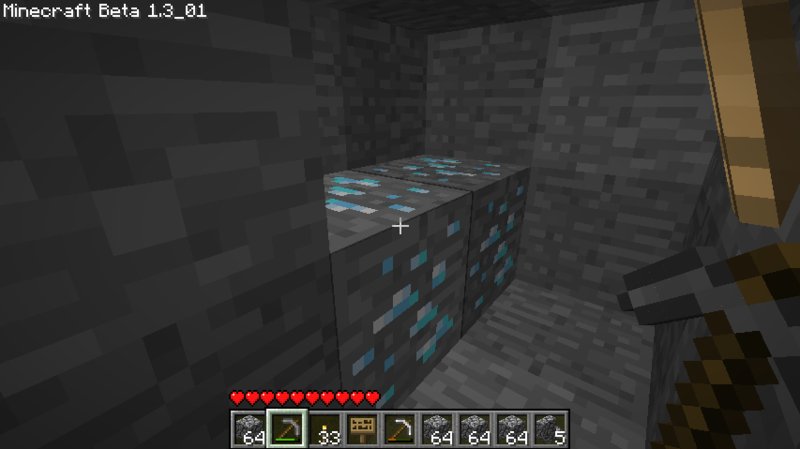 Of course, I’ll have to use some for carts, and, as I discovered in this week’s VGHVI session, I’ll also have to save some for boosters.